Prof. Isabel Ferreira of DCM - FCT NOVA, again obtains funding through the European Research Council (ERC). The "ERC Proof of Concept" grant allows the Researcher to have access to 150,000 euros for a period of 18 months. The CENIMAT | i3N researcher and doctoral candidate Adriana Costa wins the best poster award at the 6th Dresden Nanoanalysis Symposium. The editorial of Nature Electronics, highlights the experimental test of the International Physics Olympics, in which the transistor was chosen as an innovative piece. Beatriz Coelho, SPM 2017 Award, has just won the FEMS award for the best master thesis in Europe, awarded for the first time this year with the thesis "The Digital Microfluidics Platform for Loop-Mediated Isothermal Amplification of DNA". 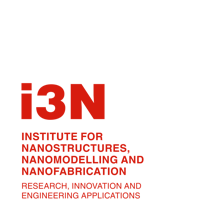 Elvira Fortunato, Professor at FCT NOVA, Vice-Rector of NOVA and Director of CENIMAT | i3N has just obtained the second Advanced Grant of the ERC (European Research Council (ERC)) worth 3.5M € .